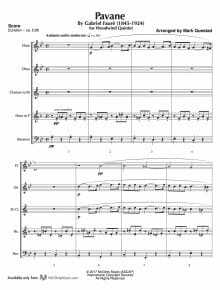 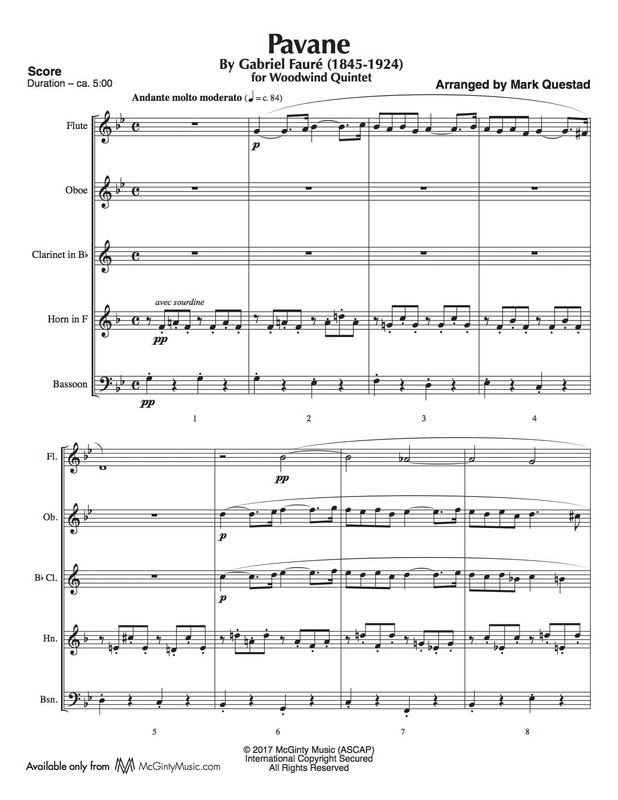 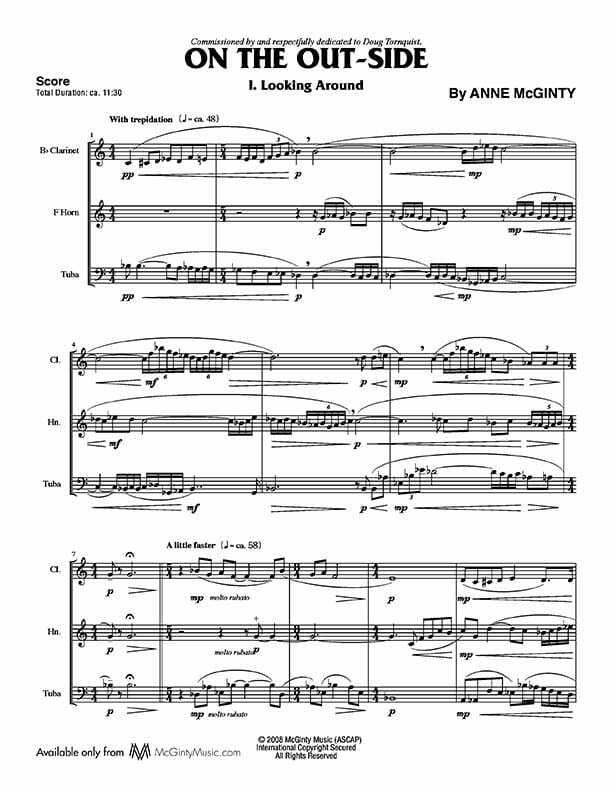 Gabriel Fauré’s beautiful solo melodies for woodwinds and horn make this transcription work naturally for woodwind quintet. 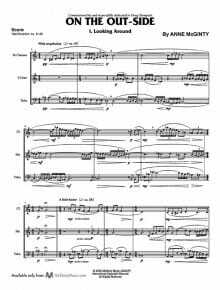 The thinner texture of the quintet makes the balance between primary and secondary voices even more practicable than in the orchestra version. 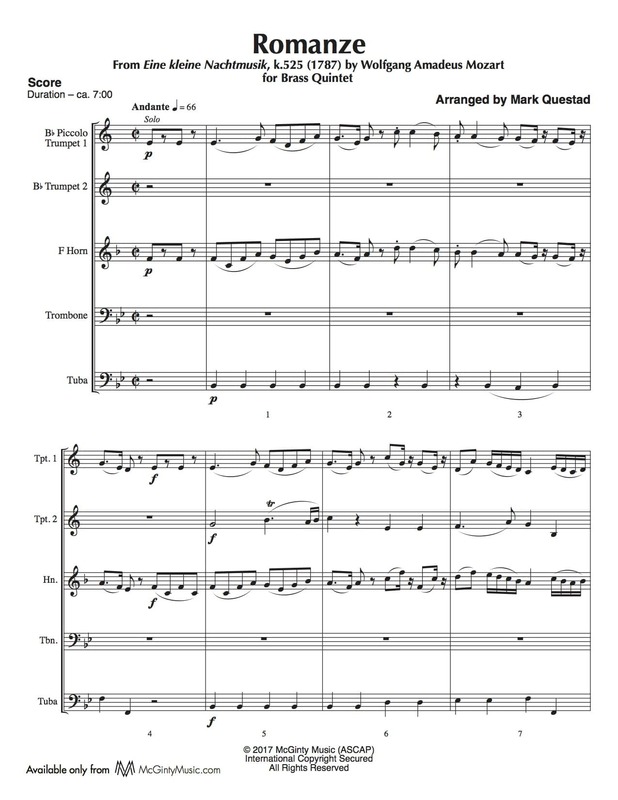 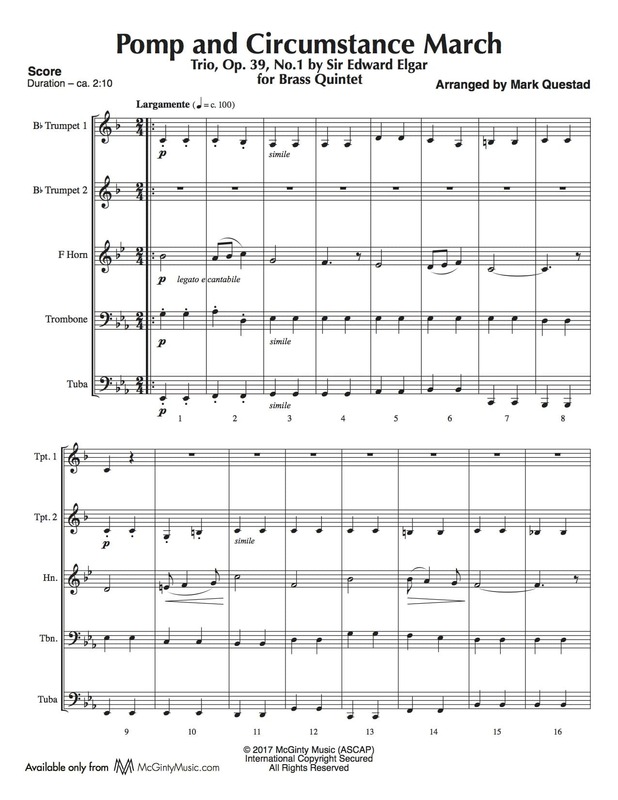 Sir Edward Elgar's Trio (Procession) from Pomp and Circumstance is an unabashed piece of “gig music.” This arrangement attempts to go easy on the trumpets – a useful feature when a large graduation class calls for multiple repeats of the movement. 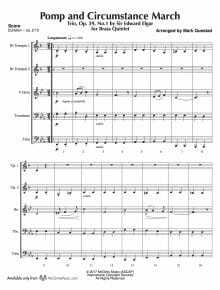 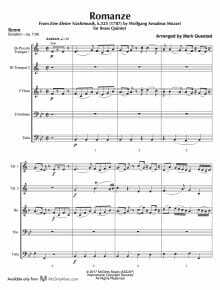 Originally written for string quartet with an optional string bass, the Romanze is the second movement of this familiar piece and works very well for brass quintet.